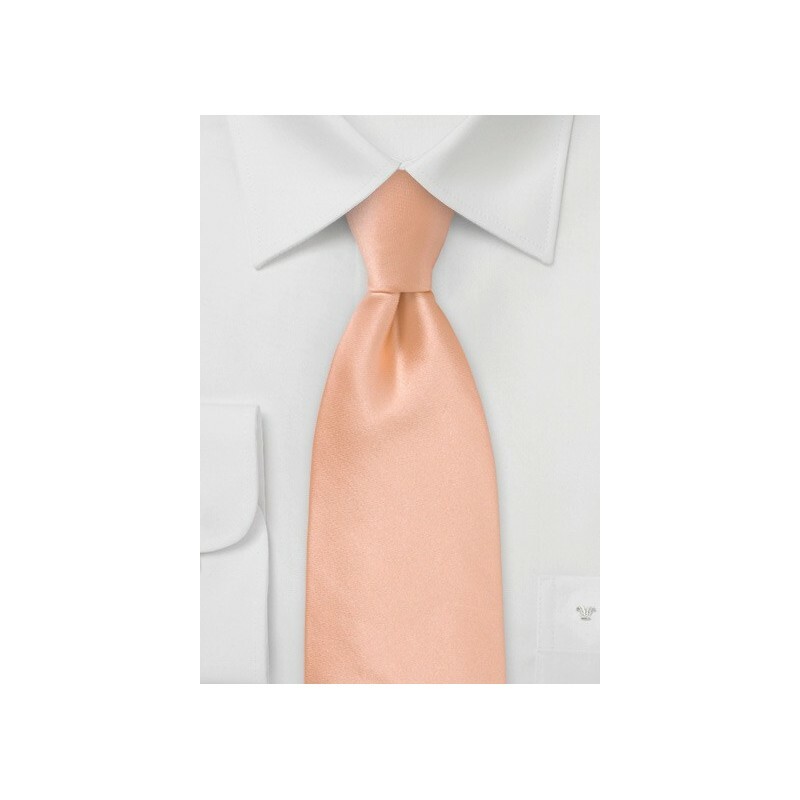 This solid color silk tie is part of Parsley's summer tie collection. 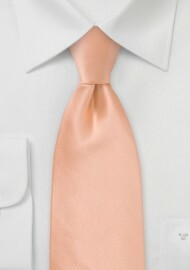 The fresh light peach color looks best when paired with a light tan or navy summer suit. Please note that this is a longer length tie that was made especially for tall men or men with a larger neck size. This handmade silk tie is also one of our best selling ties used to outfit wedding parties. For that reason we carry this stunning tie in all popular lengths. Made by hand from 100% silk.